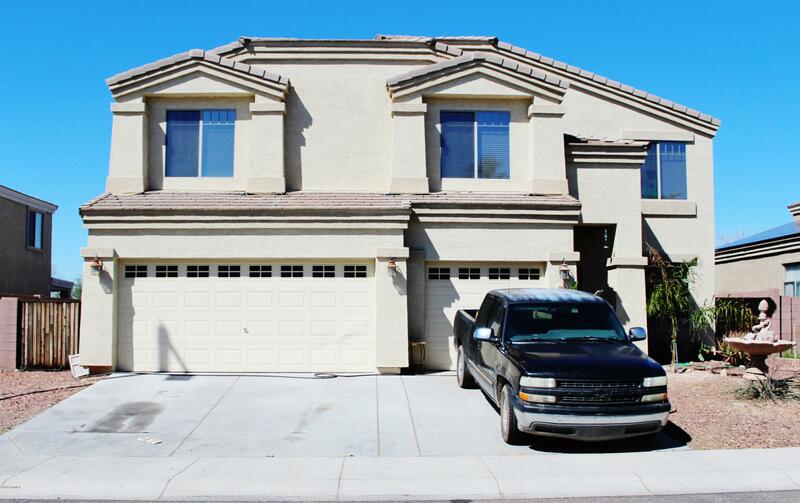 All SUNDANCE PARCEL 45B homes currently listed for sale in Buckeye as of 04/19/2019 are shown below. You can change the search criteria at any time by pressing the 'Change Search' button below. "Come see this gorgeous, move-in ready, large, family home!! Located on the second floor are 5 oversize bedrooms, 3 full bathrooms and a game room. The large and open kitchen allows for plenty of space for entertaining. The backyard is large with room to spread out and play with the family. The over-size backyard includes a play pool and a slab of concrete for a basketball court. Don't miss your chance to see this home before it's gone! ** Buyers to verify all material facts **"